The angular clamping element driven by an electric motor is automatically moved to the clamping edge of the die by an electrically driven lead screw. The clamping element is guided in the T-slot of the press. 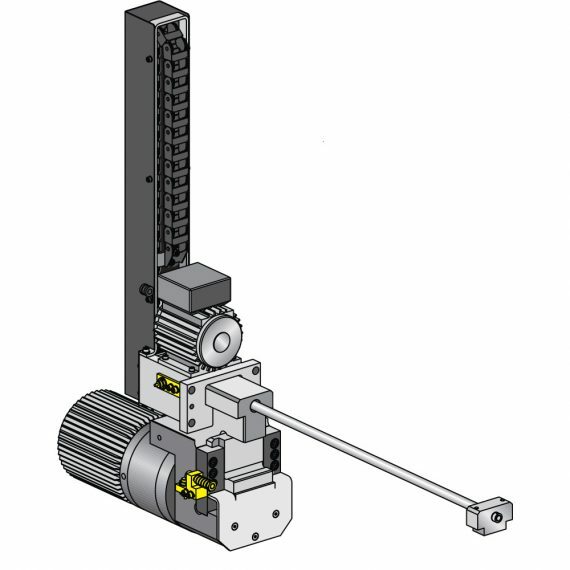 Power transmission from the clamping element to the clamping edge of the die is ensured by the rotation of the motor, by a flexspine gear and a wedge system. Advance Movement: Driven by an electric motor, the angular clamping element is moved to the clamping point. Clamping movement: The clamping force is transmitted to the clamping point in the axial direction of the angular lever. The clamping force and the clamping and unclamping positions are monitored by inductive proximity switches. The clamping force is maintained by mechanical selflocking, even in the event of power failure.